Welcome to “La Fabrica”, a truly one-of-a-kind home that falls somewhere between reality and a dream. 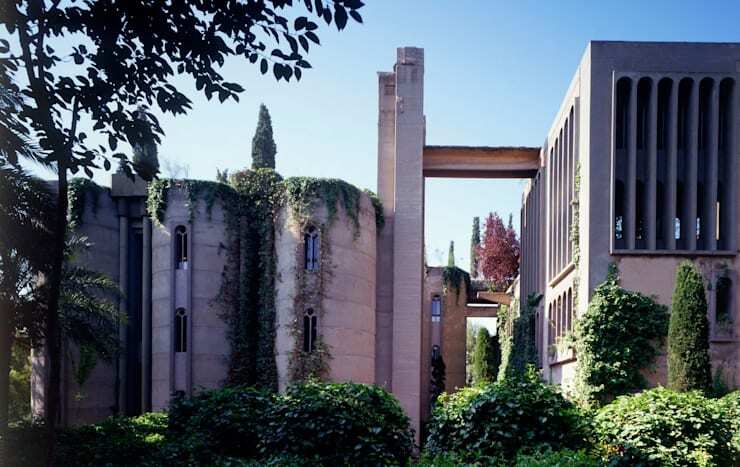 Architect Ricardo Bofill envisioned this impressive renovation project, which converted a disused cement factory outside Barcelona into the studio and home that you’ll tour today. Over a span of many years, parts of this enormous industrial factory were demolished, redefined, reinforced, and furnished, but the architect has purposefully maintained a focus on the industrial—and abandoned—nature of the building, celebrating its thick grey silos and cavernous interiors and making no attempt to remove the vines that have crawled across its walls for decades, nor replace the industrial materials that bring a cooling, heavy, feeling to both the interior and exterior spaces of the home. Teetering on the boundary between beautiful and surreal, this unique home is a celebration of human creativity and the ability to construct an entirely new reality by challenging the conventions surrounding the use of space. 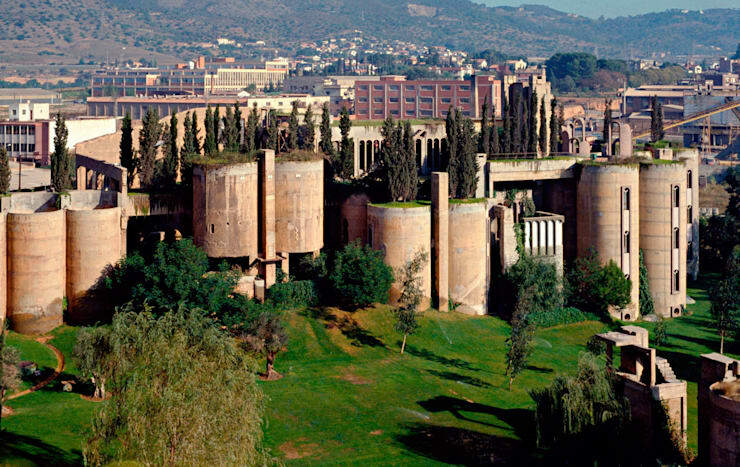 The cement factory is located on the outskirts of Barcelona. The building was used during WWI, but was closed down due to heavy pollution and need of repair. 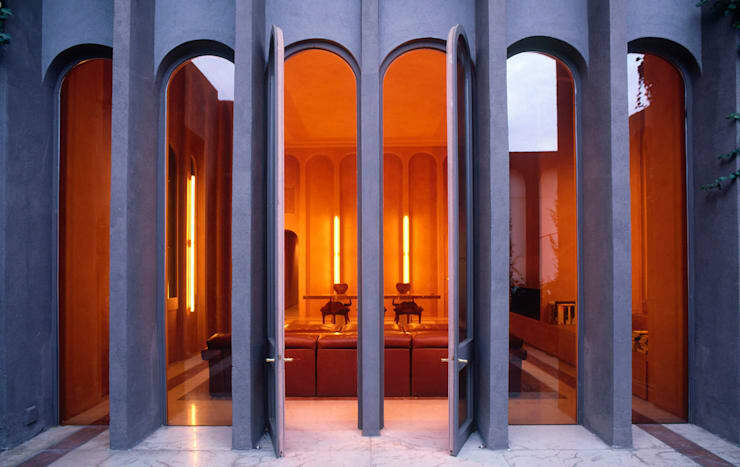 Richard Bofill purchased the factory in 1973, convinced of its value for his creative vision. 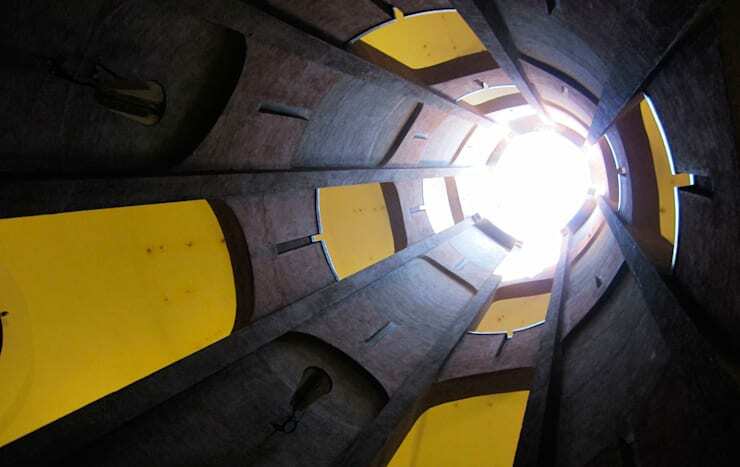 The entire complex comprised over 30 of these enormous, cylindrical silos. Over time, many of the building’s parts that were in states of disrepair were dismantled. Today, eight of the original silos remain. Given the factory a fresh chance at life, the architect and his team have encouraged plant life to blanket the building. 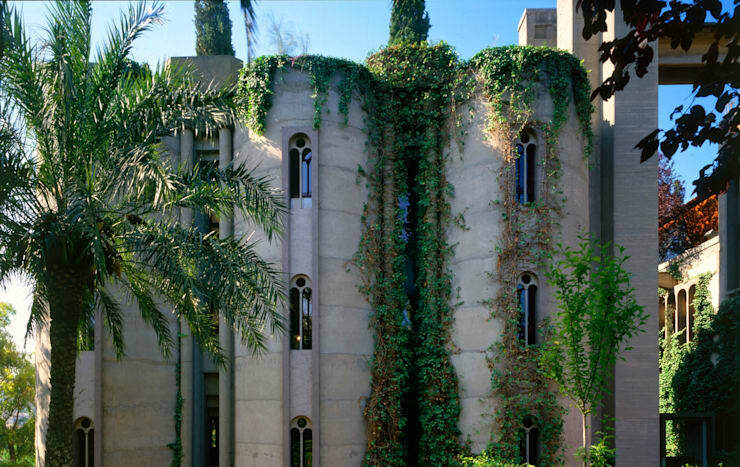 The convoluted twist and turns of factory walls are now laced with dense vegetation, including grass, eucalyptus, palm, and olive trees, highlighting the abandoned state in which the building was purchased and cultivating a mysterious romance as the industrial concrete walls hide beneath draping, verdant overgrowth. 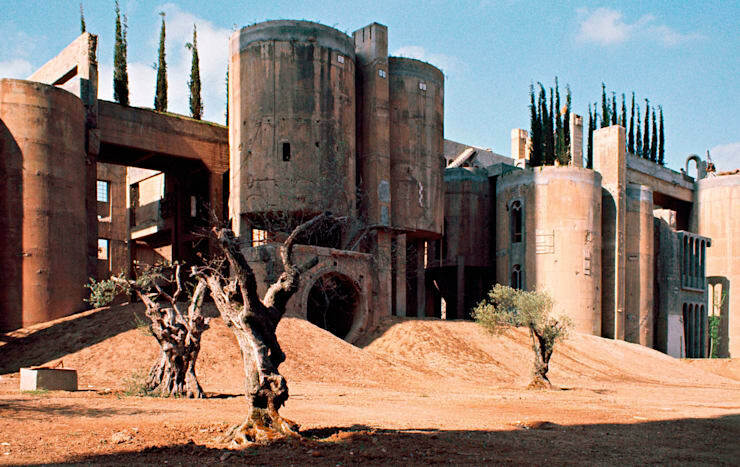 There’s an unmistakable link to surrealism in this converted factory, as the juxtaposition of generations-old olive trees stand their ground firmly in the face of industrialism. A lovely tribute to the significance of Surrealism in the region’s history (the famous surrealist painter Salvador Dali hailed from Catalunya as well), this building captivates with a display of elements that you’d never imagine side by side, creating scenes like this one that cause you to look twice. Given the unique pre-existing structures of this home, the interiors stray from the conventional in order to conform to the factory’s dimensions, shape, and mood. The large silo has been converted into a stunningly white space for meeting and discussing projects, offering a refreshingly blank slate for creative work to unfold. 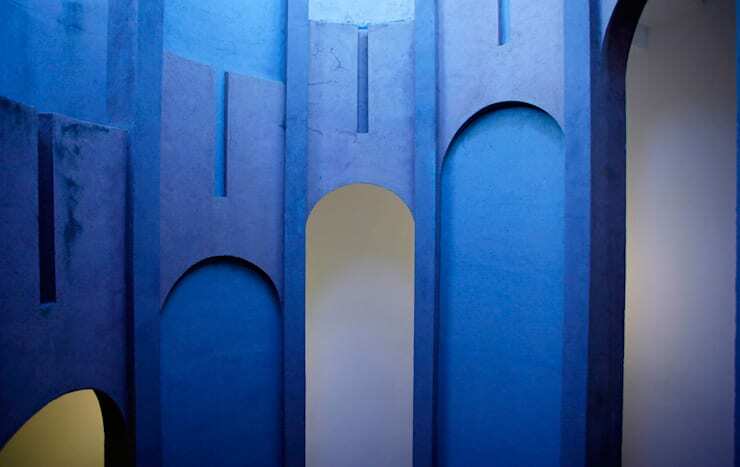 These interior images of the silos show how the concrete structure has been maintained, with rich hues of blue and yellow bringing a sense of playfulness to the imposing industrial forms. Throughout the building, these arched doorways conjure up imagery from castles and churches, bringing a stately and majestic feeling to the home. Straying from conventional furnishings like artwork and furniture, this home instead shines a spotlight on colour and form. This image shows how thick lines, elongated shapes, and deep colours create a sense of regality and power. 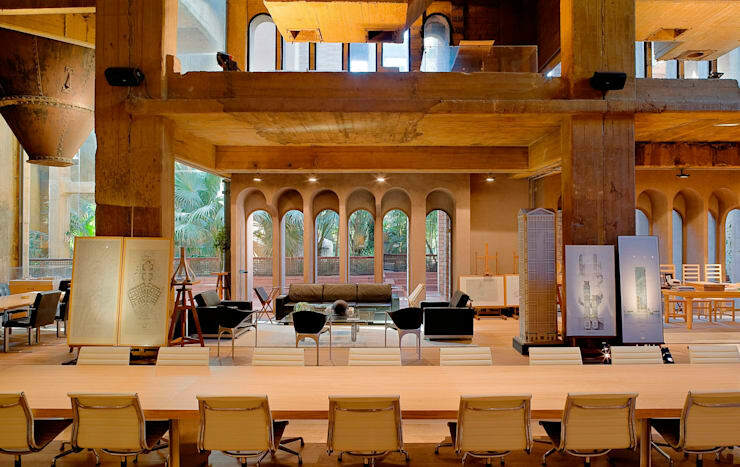 The interior has been converted into a home, office, laboratory, archives, and library, with this impressive studio occupying what has been nicknamed “The Cathedral”. 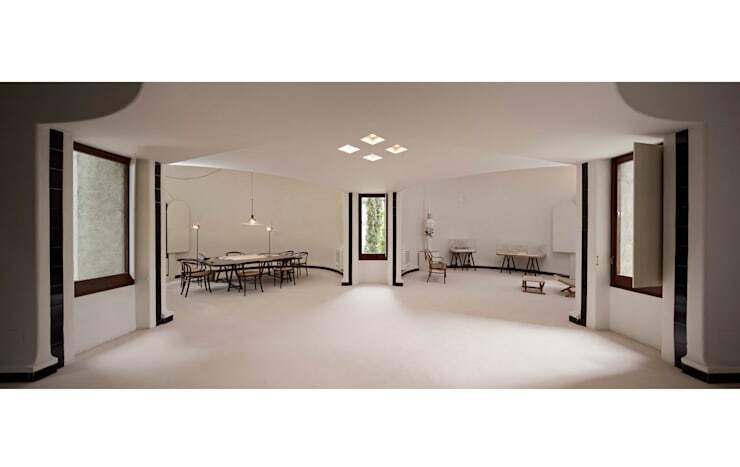 This room is used for exhibitions, concerts, and other cultural functions. Greenery and gauzy white curtains work to soften and enliven the hard industrial concrete walls, but it’s clear through the exposed pipes and weathering that this room is intended to pay homage to its origins. 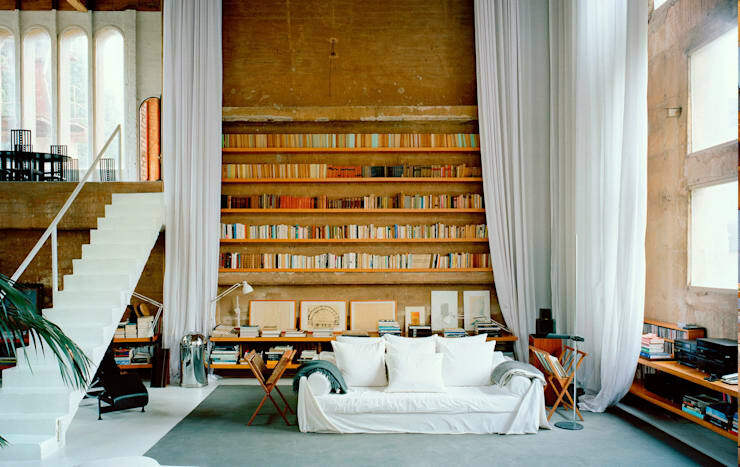 A large wall makes an appropriate spot for a library. Curtains can be pulled across these features in order to transform the space for public functions. 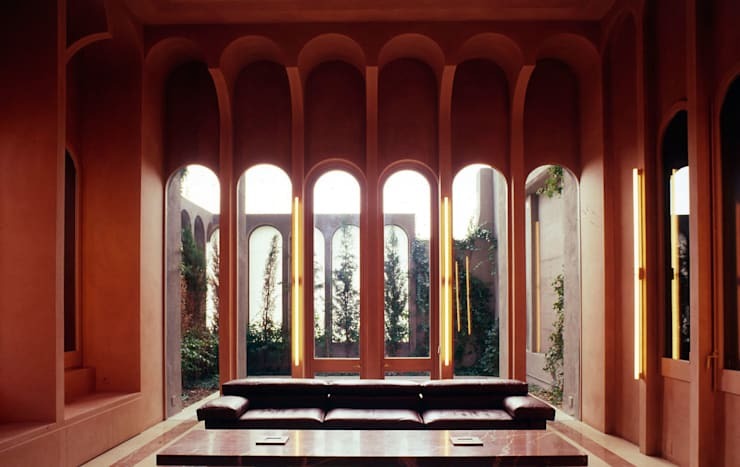 Many of the rooms of the home have an “unfinished” look to them – Bofill explains that the home remains a work in progress, and he likens this unfinished work to the vision of his life. Want to tour another amazing – and unlikely – renovation? 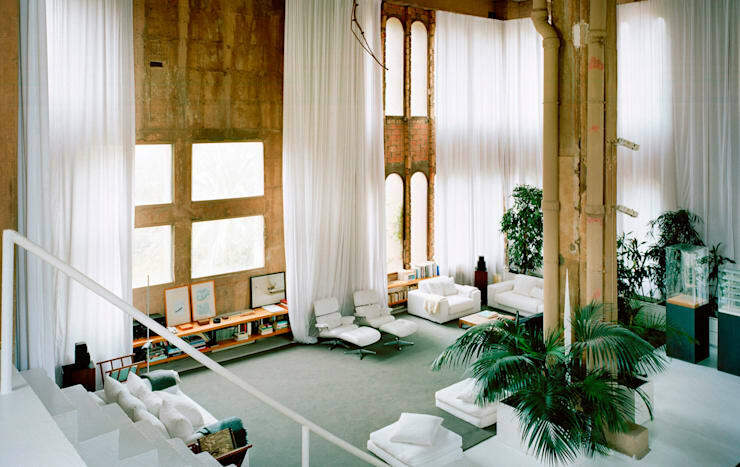 Have a look at this ideabook where an old church finds new life as a dream home! Comment on this cement factory rehabilitation below!